Especially after the grind of a long, stressful week at the office, there's nothing we look forward to more than slow weekend mornings without anything on the agenda—aside from sleeping in, leisurely sipping a cup of coffee, and maybe cuddling (S.O. or pet—whichever) as the hours idle by. But even if we do have to rush off to brunch, the farmers market, or a less ideal obligation, the next best thing is a fragrance that evokes everything we love about staying in bed: clean, crisp sheets; bare skin; and a general eau de lazy. Fortunately, there are a handful of perfumes that do exactly that—just a spritz of these scents brings us back to that happy place, no matter where we are or how much we're hustling. 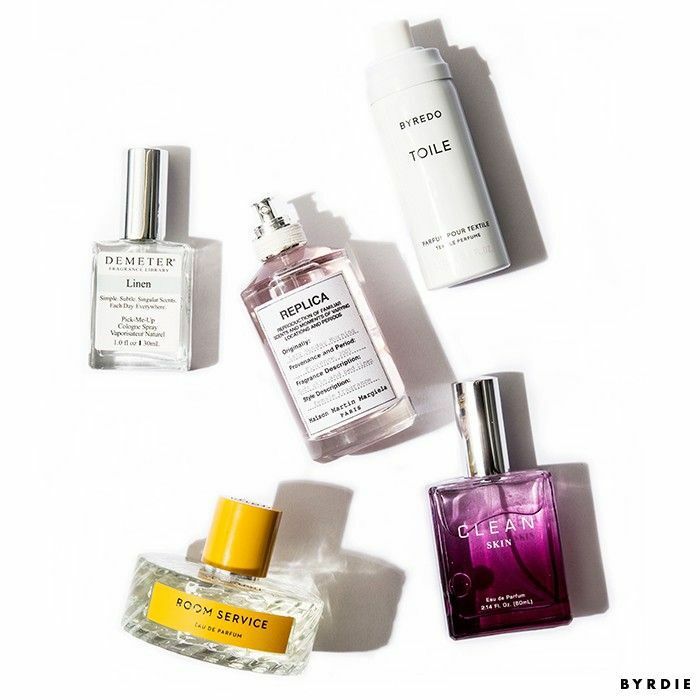 Keep scrolling to see our favorite fragrances for a weekend morning. 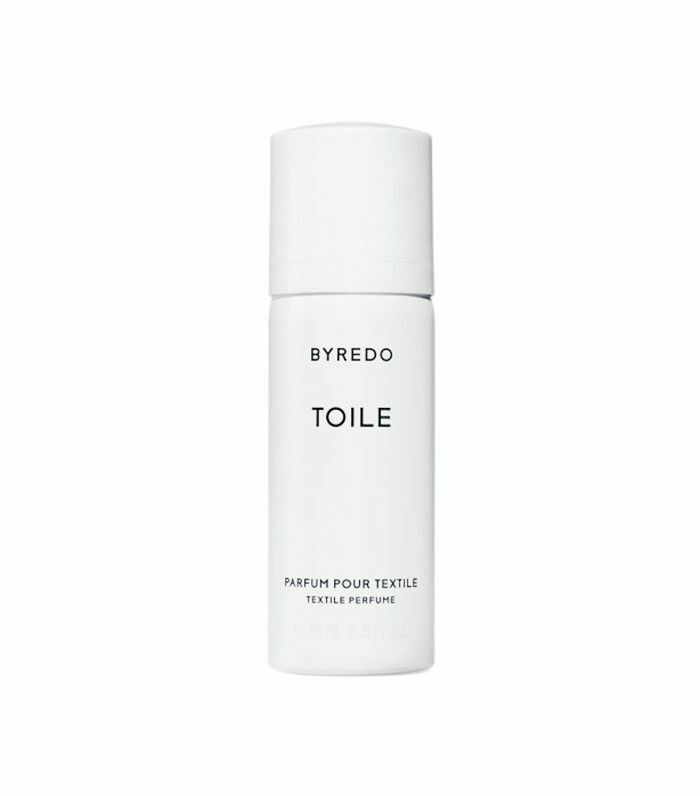 Imagine burying your face into warm sheets fresh out of the dryer, and you have an idea of what Byredo's newest launch smells like. Toile is the Swedish brand's first-ever textile perfume, formulated to enhance the scent of your just-washed clothes and linens. 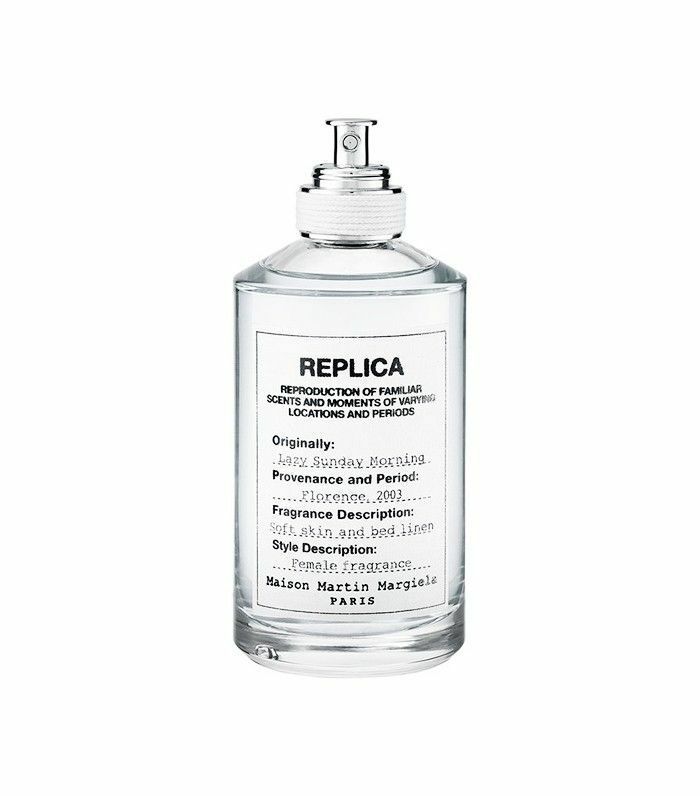 And as we only could have predicted from the label we know and love, the understated blend of bergamot, lily of the valley, violet silk, amber, and cotton musk is as intoxicating as every other fragrance from the collection. If you're familiar with Clean perfumes, you probably know that fresh, minimalistic scents are basically the brand's MO. (See also Rain and Warm Cotton.) But while there are a few that explicitly recall textiles, we're particularly keen on this warm fragrance, which plays off of musks, honey, and fresh air to evoke bare skin. It's sensual in a low-key kind of way. 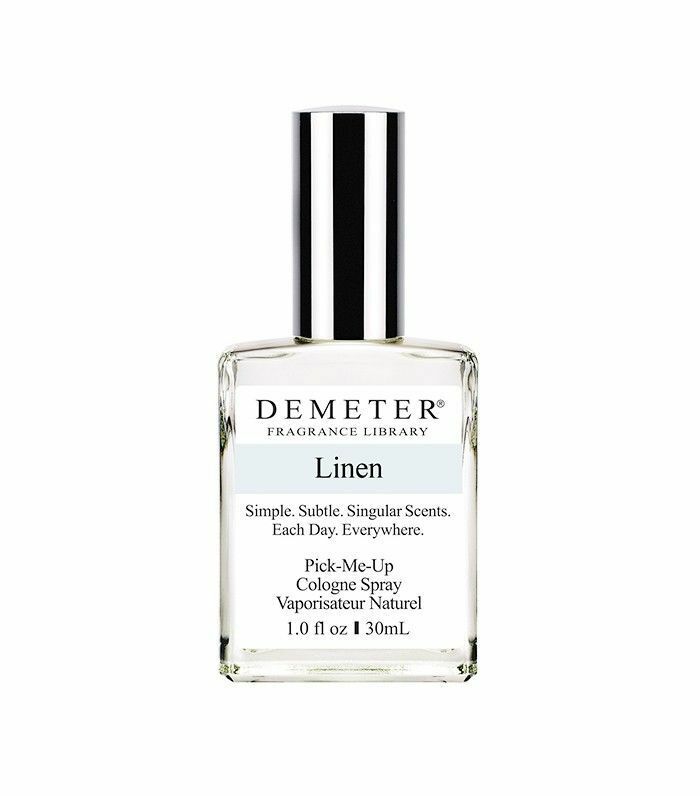 We can always depend on Demeter for the most literal interpretations of scents—even when it's something we would honestly never think to ask for, like Earthworm or Tarnish—and this one is no exception. It's both crisp and delicate, like your freshest batch of laundry. 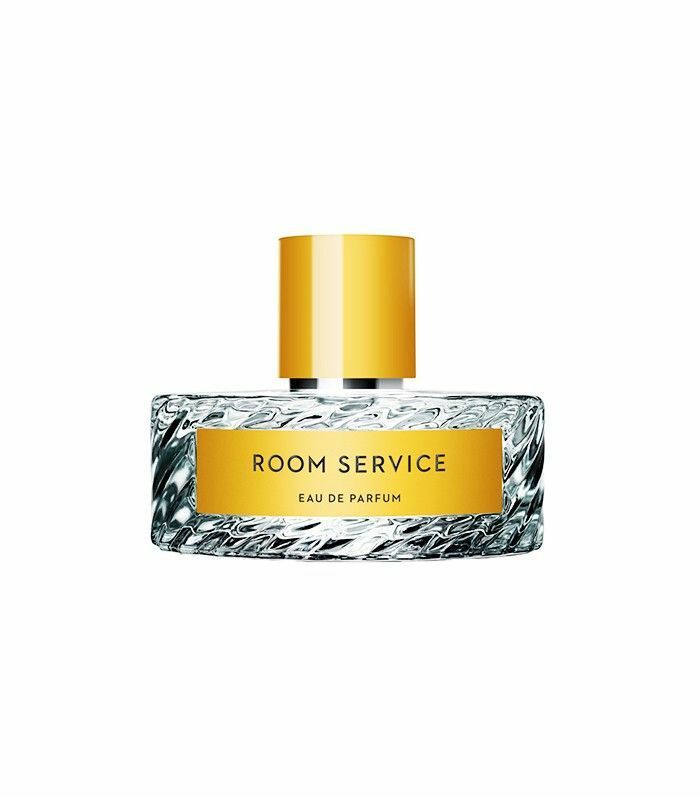 One of the newest launches from this fragrance brand to watch, Room Service is like a lazy morning spent in another era—in fact, it was crafted with Old Hollywood screen siren Greta Garbo in mind. 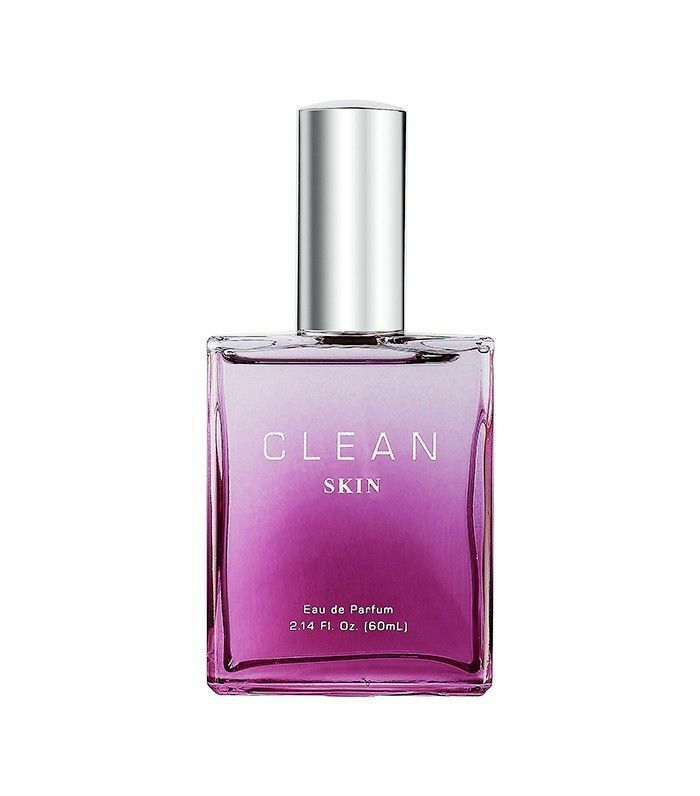 Notes of violet, pink orchid, green bamboo, mandarin, and sandalwood give this fragrance a very bright, feminine feel. Translated to "in your arms," this warm, romantic scent really has the air of a sweet embrace. Warm, rich notes like musk, cashmere, sandalwood, incense, and patchouli give it depth, complemented by softer notes of heliotrope and violet. Like a few of the other fragrances in our lineup, it aims to capture the intimate scent of skin—and does it beautifully. What's your favorite weekend scent? Call it out in the comments below.